Medical Micropigmentation, or permanent makeup, utilizes tattoos to produce designs that strikingly resemble manually applied makeup! In cosmetic surgery business management since 1995, Sharon Grasso is a licensed medical micropigmentation artist as well as a aesthetician and member of The American Academy of Micropigmentation.Sharon believes that when you entrust your permanent makeup application to her, you have a distinct advantage over a woman who receives her treatment at the salon. 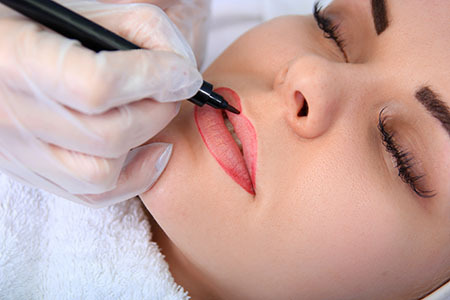 Skilled micropigmentation is a medical procedure; therefore, for optimal safety, the ideal setting is in the office of a professional, like that of Sharon. In this day and age, some of us don't have the time nor the desire to undergo a major surgical procedure. We offer other procedures that can help you achieve a healthy, more youthful appearance without the pain, risks or downtime associated with surgery. These procedures are safe, quick, and affordable. Click here to learn how.